Dogs have been described as “man’s best friend”, and they certainly make for a wonderfully loyal, fun companion. However, your pooch is also very vulnerable and brings with him a number of issues – one of these is fleas. Fleas will attach themselves to your dog whenever given the opportunity, and not only do they cause great discomfort and irritation to your canine friend, in some cases they can also pose a threat to his life. 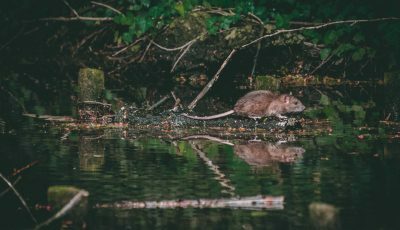 Moreover, because they breed so quickly, you can rapidly end up with a major flea infestation if immediate action is not taken to keep them at bay. Dogs are unable to rid themselves of fleas on their own, that is why they need your help. Luckily, there are many products now out there for doing this. One of the best is the dog flea collar, a simple yet ultra-effective means of ridding your pet of fleas, ticks and other pests and other parasites. If the pet dog is your best friend, then the trusty flea collar might just well be his. Obviously, it is common knowledge – to both you and your pet! – that flea is irritating and a source of discomfort, but what you may not have realized is that they can actually also be dangerous. After all, if your dog scratches his bites to excess, this can lead eventually to open sores that leave him susceptible to infection. 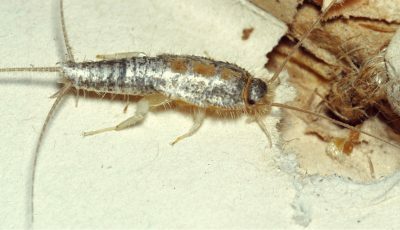 Or he may be allergic to fleas so that when bitten he has a reaction resulting in red skin, hair loss and even scabies to the affected areas. Excessive biting can also result in anemia from all the blood loss from multiple flea bites. Finally, fleas can be carriers of certain diseases as well as tapeworms. When your dog grooms himself he will consume the tapeworms (as well as fleas), and they will live on in your pet’s intestines and cause various digestive issues. Fleas are a threat that is not to be taken lightly! Flea collars are very simple. Made up of a (usually) plastic collar laced with some sort of insecticide, you place them around your dog’s neck, and they will either repel the fleas or ‘treat’ (read kill) them outright. Some collars do both, others do one or the other. Repelling collars tend to work by generating a gas which keeps the parasites away. Treating collars, on the other hand, emit their insecticide into the layer of fat in the dog’s skin, thus poisoning fleas who happen to bite the dog; alternatively, the insecticide is emitted onto the topmost layer of skin where it is then spread around the body using the pooch’s own natural oils. In most cases, fleas exposed to the treating insecticide are killed immediately. What do flea collars protect your dog against? A good flea collar should protect your pet against both fleas AND ticks. Although they don’t have as high a profile as fleas, ticks also feed on your pet’s blood and cause irritation and discomfort to his skin, ticks are also more likely than fleas to carry dangerous diseases such as Lyme disease or spotted fever. Most modern flea collars will defend your dog against both fleas and ticks, though some will provide protection against mosquitoes and other pests and parasites as well. As you are probably already aware, there are now numerous products out there on the market devoted to defending your pet against fleas and ticks and other parasites. Some of the main ones you may have heard of are shampoos and oil-based treatments that contain insecticides. Though effective, the main problem with most of these treatments is that they are temporary and only provide short-lasting protection. In addition, if your dog frequently gets wet, this greatly reduces the effectiveness of the shampoo or oil treatment. Many of them can be messy as well, causing grease problems and unpleasant odors. Flea collars, on the other hand, bypass most of these pitfalls. They don’t cause any mess, and they also provide much longer lasting protection – your standard collar delivers about three months’ worth, some of the better ones out there provide up to 6 or even 8 months’ protection against parasites. Perhaps the best part is that the dog owner can simply put the collar on and then forget about it, there is no need to worry about whether or not you’ve remembered to apply that months’ treatment. Some shampoos and treatments are also known to be very toxic to your pet – flea collars (though they still contain some toxins) tend to avoid this problem. 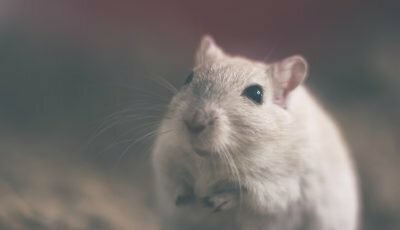 Factors you need to consider when you buy a flea collar? The main factor you need to take into consideration when you buy a flea collar for your pet is how strong and secure it is. All of us know just how playful and active dogs are, the way they love to roll around and get dirty. Because of that, it is pivotal that your pooch’s collar stays in place no matter what. You don’t want to have to be running out to purchase replacement collars every time your dog gets frisky! By the same token, you want a dog collar that provides a comfortable fit for your dog. Your canine friend will naturally rebel against a collar that is too tight and keeps him or her from breathing naturally. The ideal collar is one that will stay in place around the dog’s neck at all times whilst still allowing some breathing room underneath (a good rule of thumb is that the collar should be loose enough that you can fit one or two fingers underneath). If you want the best results and also wish to save money, then purchase a durable collar which will last a very long time. Flea collars are not so cheap, so you will want to get one that provides that maximum duration of protection to your dog. Most modern collars out there on the market have a lifespan of around 3 months before they need to be replaced – some of the better ones last you 6 or even 8 months. Again, having a long-lasting collar is very convenient, as you can simply put it on and forget about – unlike shampoos and other treatments, there is no need to worry about whether or not your dog is protected for that month. Finally, pay attention to what pests and parasites your collar are equipped to deal with. At the very least you want one that provides protection against fleas as well as ticks – these are the main threats to your pooch. Some also protect against mosquitoes, lice, and other pests – if those are known to be a problem in your area, or your dog is known to be susceptible to them, then you may want to get a collar that has such properties. It goes without saying that is far better to have a collar that provides all in one protection than have to go out and buy a separate product for each problem or threat. When is a dog flea collar NOT a good idea? Sometimes a dog collar is NOT the best option for your pet. This includes situations in which you have a dog that is pregnant – puppies should not be exposed to insecticide at such a young age – and the same may be true where you have young children of your own hanging around the house. Also if there are multiple dogs in the house and they tend to fight (playfully, of course), having one or both of them wearing a collar might not be a wise choice – if one dog bites the collar of the other, they could be exposed to harmful toxins. Meanwhile, some varieties of dog simply will not tolerate wearing a collar and will scratch and bite at it until it is removed. If your dog enjoys being in the water a lot, then a collar will not work very effectively either – consider some other treatment in the case, or simply take it off on those occasions to avoid reducing its longevity. Now that you know what to be on the lookout for, it’s time to consider some actual flea collars. The flea collar market is chock full of products for your dog, but only some of them are of the right quality. We’ve done our research and come up with our own selection of what we consider to be the best dog flea collars available on the market. So without further ado, let’s look at some collars! Keep fleas and ticks away for up to 8 months with this Seresto flea collar for dogs from Bayer Animal Health. It rapidly kills all parasites – within a mere 24 hours of application in the case of fleas, 48 hours for ticks – and then keeps them away; put it on your dog and then forget about it! No need for you to worry about whether or not your dog is protected for this months. 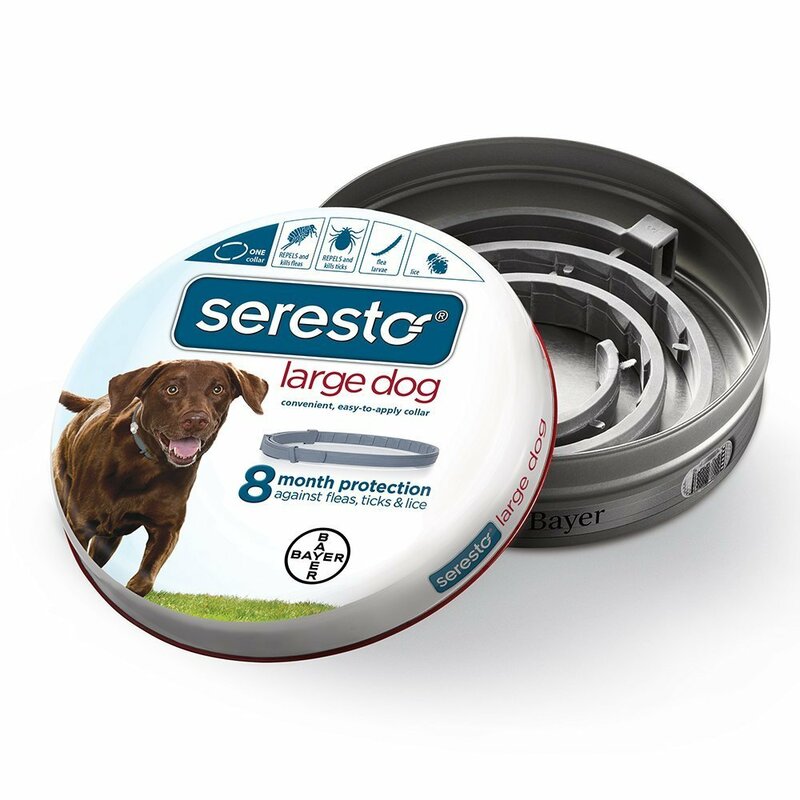 Another benefit of this Seresto dog collar is that there is no mess involved, unlike other flea treatment products; it is completely odorless and non-greasy. Meanwhile, if your dog is frisky and loves to play, then never fear! This Seresto flea collar will fit securely to him and won’t come off no matter how active he gets. And if he likes gamboling about in the water, then be aware this collar is completely water resistant so that it’s longevity won’t be affected by exposure to H2O – or any shampoos that you apply to your pooch when bathing him. Bayer Animal Health has really outdone themselves with this offering, their flea collars for dogs will leave your pet – and your home – a completely flea- and tick-free zone. Highly recommended. Dogs are called man’s best friend, and that is why it is imperative to keep your pooch flea and tick free – for his sake and your own. This collar from the folks at Beloved Pets will enable you to do exactly that. It provides up to 4 months’ protection against ticks and fleas, including larvae, and is also completely odorless and free of toxic chemicals that are dangerous to the health of yourself and your canine friend. Do you have puppies? Then never fear! This flea dog collar is also available in multiple sizes, including those small enough to fit younger dog. No need to worry about your dog chafing at a collar that is not a suitable fit – or a collar that is too loose and which he is at risk of losing. Perhaps best of all, it’s backed by a 100% satisfaction guarantee, making this a truly risk free investment; if you are in any way dissatisfied with your purchase, return your dog flea collar to the manufacturer and get a full refund. 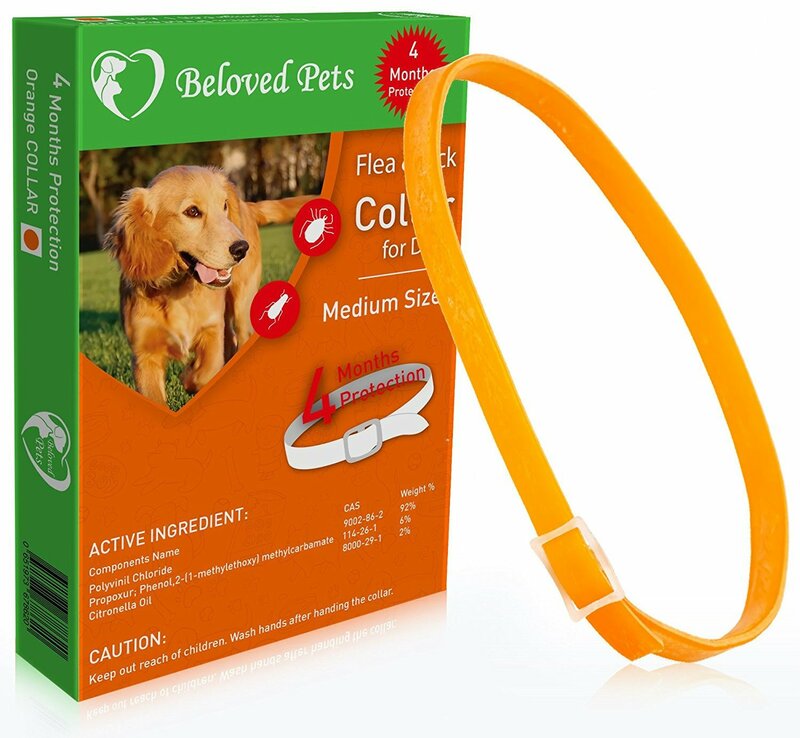 Potent, long-lasting protection from fleas and ticks is at your fingertips with this dog flea collar from Beloved Pets. Go out and grab one for you and your canine friend today. It’s one of the best flea treatment products in town. Bayer Animal Health is back with another fine offering. This dog flea collar of theirs’ provides long-lasting protection against fleas and ticks for dogs and puppies of all ages alike. Indeed, with a lifespan of 8 months before you need to replace it, this is one of the longest lasting most durable flea collars out there on the market today. And with this particular Seresto flea collar for dogs product you get two, amounting to 16 months worth of protection for your dog or puppy! 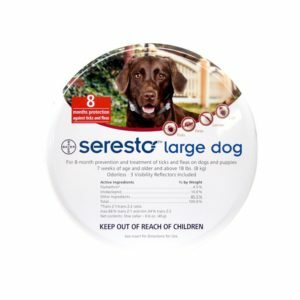 The active ingredients are specially formulated to be non-toxic, so you can use this Seresto dog collar product on all dogs and puppies that are 7 weeks or older. 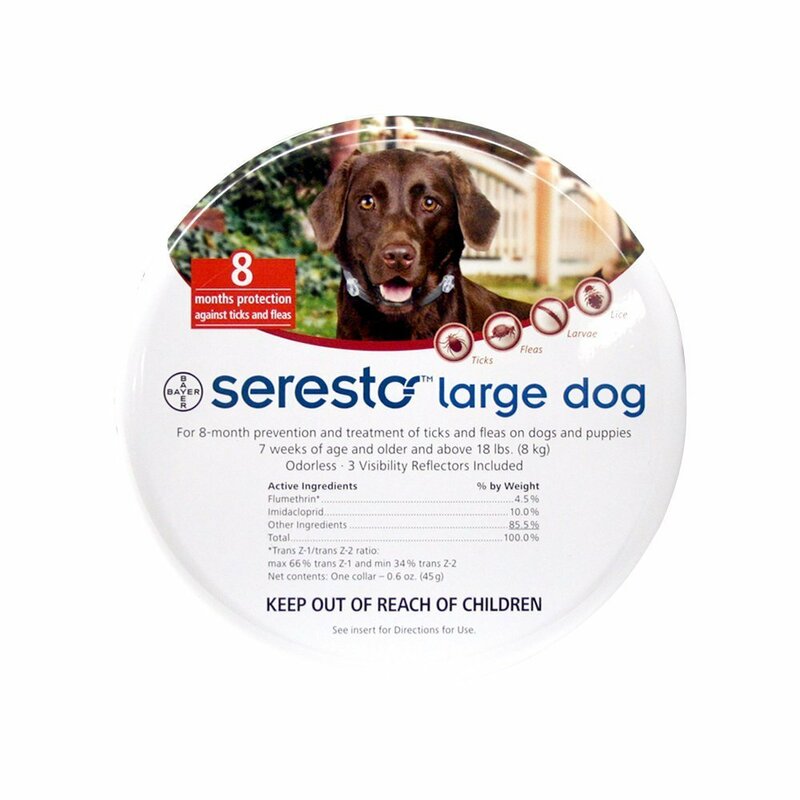 It’s completely mess-free also, no grease or odor issues to deal with, and if you like to bathe your dog regularly or take him swimming, then never fear – this Seresto flea and tick collar is completely waterproof as well! 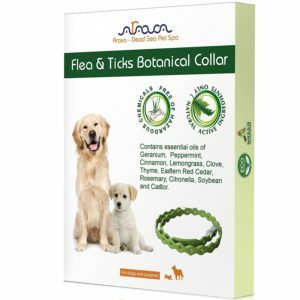 Beat off the fleas and ticks assailing your pet with one of these flea collars for dogs from Bayer Animal Health, they are one of the best products of their kind out there on the market today. Arava’s dog flea collar quickly and efficiently repels all fleas and ticks, providing long-lasting protection to your pet and all with impeccable cleanliness and safety. Their collars have a lifespan of 150 days, which is about 5 months, and, as mentioned, work with equal effectiveness against fleas and ticks. Put this flea and tick collar on your dog and take him for evening walks during the summertime without fear of him being eaten alive! The active ingredients are all-natural essential oils like cinnamon, lemongrass, peppermint, clove, eucalyptus, rosemary, thyme and other oils that are non-toxic and completely safe to use around your dogs, puppies and your own family, including the children. It’s also odor free and non-greasy, unlike shampoos and other flea treatment products out there on the market. This collar provides excellent fit: it won’t come loose from your dog’s neck no matter how active and frisky he is, and it won’t be so uncomfortable that he tries to remove it. All in all, this is a very fine dog flea collar from the folks at Arava Dead Sea Pet Spa, it will provide enduring protection against fleas and ticks for all of your household pets. It’s one of the best flea collars for dogs out there at the moment. Very economical – better than monthly treatments! 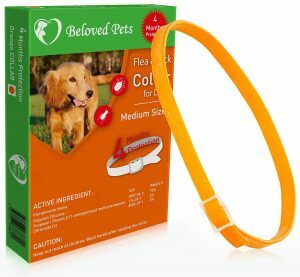 Repel fleas, ticks and even mosquitoes with this pestiX dog flea collar, it provides protection against household pests and parasites for up to 4 months. Simply put the collar on your dog, secure, and your bit is done! The collar will do the rest. You will see start seeing results within 48 hours of application. Among the active ingredients in this flea and tick collar for dogs are all-natural essential oils including eucalyptus, cinnamon, and lavender – this collar is non-toxic and safe to use around all dogs and many puppies as well. Your own children will be safe from harm around it as well. 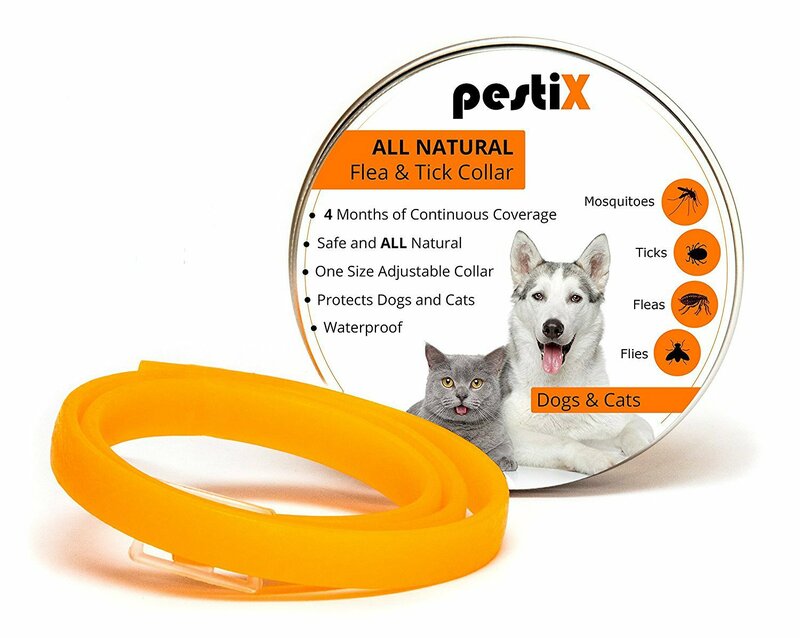 It is also completely odorless and non-greasy – no unwelcome smells or mess to deal with here with this pestiX flea and tick collar. This dog flea collar is even water-proof, no need for you to take it off whenever you bathe your dog or take him or her swimming. Ditch the monthly flea treatments and choose this pestiX dog flea collar, it provides protection to your pets against pests which are complete, long-lasting and mess-free. It is among the best flea treatment options out there on the market at current. Superior quality flea and tick dog collar, this delivers enduring protection to your household pet against all fleas and ticks. It’s among the best flea control for dogs options around at the moment. This is a fine flea collar for dogs from Anion, which offers complete and long-lasting protection against all common household parasites in one simple step. Simply place around your pet’s neck, adjust the length, and strap in place – and hey presto! your pet instantly has 8 months’ worth of protection against fleas and ticks. The active ingredients are mostly non-toxic, so you can use this product safely on all dogs and puppies above the age of 8 weeks. It’s also odor-free and non-greasy – and even water-resistant, so you can regularly bathe your dog or take him swimming whilst wearing this collar and its effectiveness won’t be reduced – there’s no need to take it off. 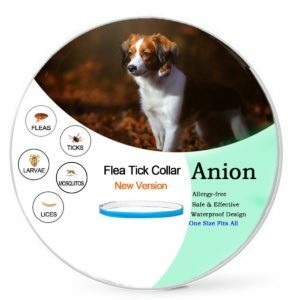 Anion is one of the best manufacturers of flea collars for dogs out there on the market today, and this latest offering is no exception. If you are looking for how to get rid of fleas on puppies in a way that is cost-effective, safe and mess-free, then look no further than this product from Anion. It’s well and truly recommended. Very economical – much cheaper than monthly treatments! Last but not least in this review article we have this flea collar from the folks at UPL, suitable for dogs of all sizes, it provides up to 6 months’ protection against ticks and fleas, eggs and larvae of the same, lice, and even mosquitoes – your pooch will be fully protected when you take him out for a stroll on warm summer evenings! Simply put the flea and tick collar for dogs about your dog’s neck, adjust the length (it’s 24 inches) to fit, and then forget about it! There is no odors or grease or other residues to deal with – this dog flea collar is far cleaner, more convenient AND more economical than those monthly shampoos and other flea treatment products on the market. The active ingredients are also specially designed to minimize toxicity, ensuring this collar is safe to use on dogs of MOST ages and also to have around your children. It is even waterproof, so you can take your dog swimming or bathe him as usual, and not have to worry about taking the collar off each and every time. We have reviewed some pretty good flea collars in this article, and this particular offering from UPL is absolutely no exception. A fine note on which to round out this list. Non-toxic materials, safe to use on younger dogs – and to have around your own kids. No need to worry about allergic reactions on the part of your pooch. 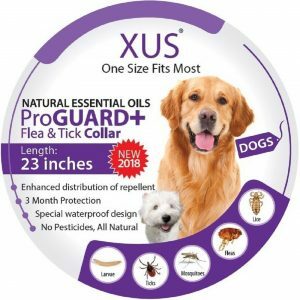 XUS’ dog flea collar will provide your pets with reliable and long-lasting protection against fleas and other pests; put it on and then forget about it – it’s far more economical and cost-effective than the monthly flea treatment products out there! 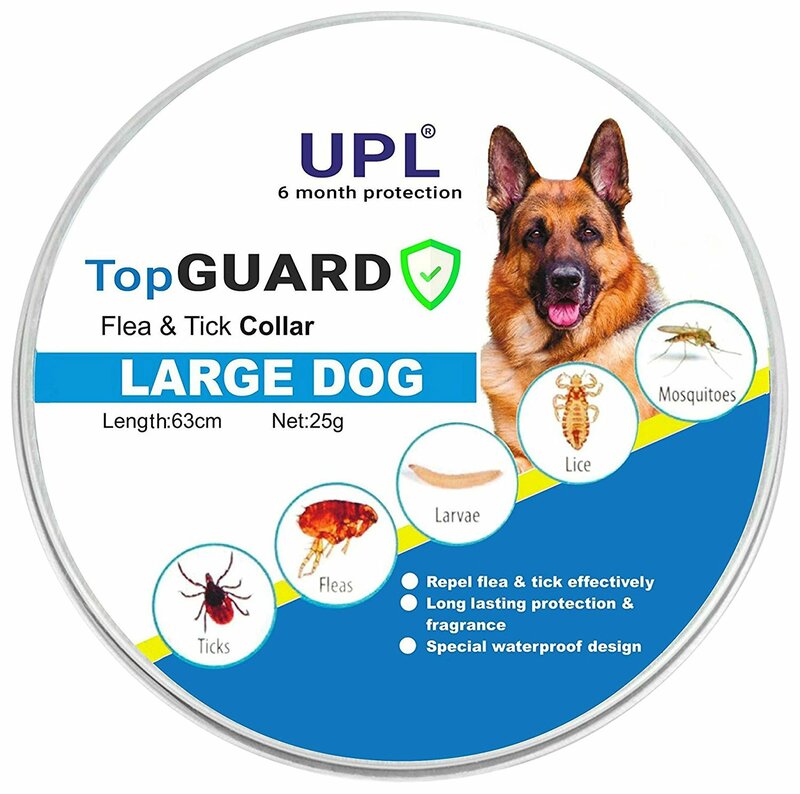 This particular flea and tick collar has a lifespan of at least 3 months (maximum 6), and is fast acting to boot – it will quickly remove ticks and fleas from the environment and then keep them away. The all natural, essential oil ingredients make this collar non-toxic and fully safe to use around all dogs and puppies, and in addition, there are no odors or grease to deal with either. It’s even waterproof, so you can take your dog swimming or bathe him regularly, and not worry about having to take the collar off every time. Last but not least, it’s backed by a 100% satisfaction guarantee so that if you are in any way dissatisfied with this purchase, you can return to the manufacturer and get a full refund. 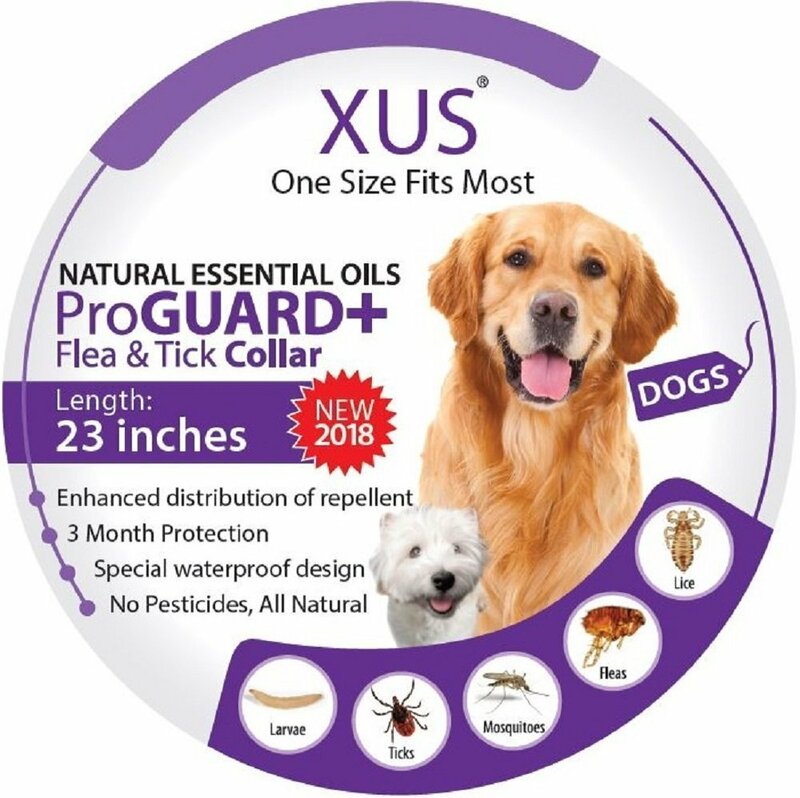 XUS’ have really outdone themselves with this offering, it is one of the best flea collars for dogs out there on the market today. Economical – far cheaper than the monthly treatments out there! 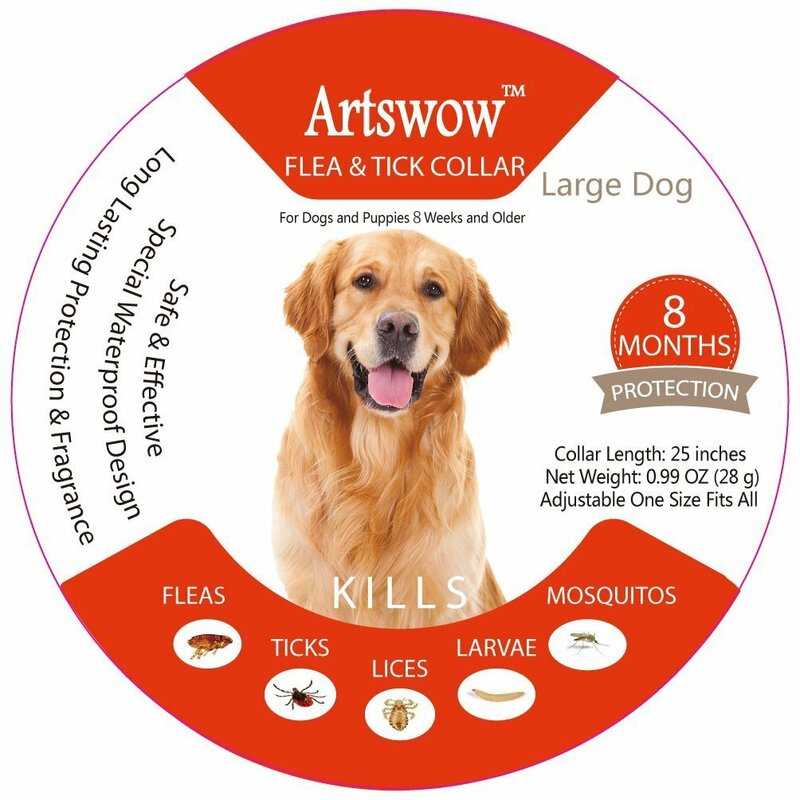 This dog flea collar from Artswow provides your pet with up to 8 months’ protection against fleas and ticks. That’s the most impressive feature of this product, though there are also several more. It’s effective against all fleas and ticks, including the eggs and larvae, and is also odorless, mess and grease-free, and fully waterproof so that you can take your dog swimming or bathing whilst wearing this flea and tick collar for dogs and not see any decline in its performance. Also fully adjustable, simply place around your dog’s neck, adjust to the right fit and trim off the excess length – this flea and tick collar will fit dogs and puppies of all shapes and sizes. The active ingredients are also specially formulated to be non-toxic, so you don’t have to worry about younger dogs – or your own children – being harmed by this collar; it’s safe to use on puppies older than 8 weeks. Perhaps best of all it is backed by a 100% satisfaction guarantee, making this a truly risk free investment – if you are in any way dissatisfied with this purchase, return to the manufacturer and get a full refund. Avoid the mess created by topical flea and tick prevention treatments and enjoy protection against pests which is effective, long-lasting and clean. This collar from Artswow ticks all the right boxes, it’s one of the very best fleas and tick prevention for dogs options around. Maintain your pets’ comfort and health over the long-term with this dog flea collar from Adams, it provides enduring protection to your pooch against fleas and ticks. With a lifespan of 7 months, this is one of the most durable dogs flea collars out there on the market today – and so much more economical than monthly treatments! Put if on and forget about it. It’s also fast-acting – secure it around your dog’s neck, and you will begin to see results within a mere 24 hours with this dog collar. Free of toxic chemicals, this collar is safe to use around younger dogs – and your own children – and won’t cause an allergic reaction in your pooch either. There are no odors or grease to deal with, and it’s even water-resistant so that you can still take your dog swimming or regularly bathe him, and not worry about having to remove the collar each and every time. It is fully adjustable as well, making this a ‘one size fits all’ dog collar, suitable for dogs and puppies of all shapes and sizes. 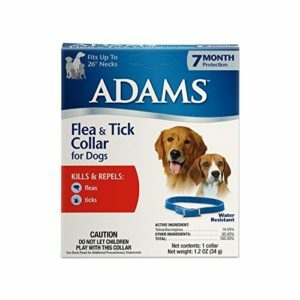 Few flea collars for dogs compare with this one from Adams when it comes to results, durability, and cleanliness – it is one of the best flea collars for dogs you will have the pleasure of experiencing. Well and truly recommended, go out and grab yours’ today. Tick and flea prevention for dogs and other household pets in the form of this exceptional dog flea collar. This is just about the best flea collar out there. 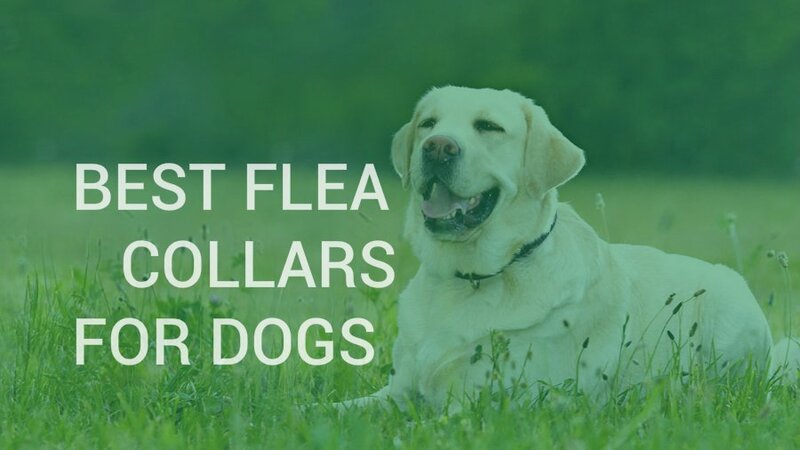 Fleas and ticks are the enemies of all dogs, and in the war against these pests a high-quality dog flea collar is one of the most effective weapons in your arsenal. For long-lasting, economical and mess-free protection against parasites, purchase yourself one of the products reviewed in this article and start fighting the good fight! These are the very best dog flea collars in town at the moment.